Sandmeyer Steel Company stocks Alloy 309/309S heat resistant stainless steel plate in thicknesses from 3/16" through 3". Alloy 309 (UNS S30900) is an austenitic stainless steel developed for use in high temperature corrosion resistance applications. The alloy resists oxidation up to 1900°F (1038°C) under non-cyclic conditions. Frequent thermal cycling reduces oxidation resistance to approximately 1850°F (1010°C). When heated between 1202 – 1742°F (650 – 950°C) the alloy is subject to sigma phase precipitation. A solution annealing treatment at 2012 – 2102°F (1100 – 1150°C) will restore a degree of toughness. 309S (UNS S30908) is the low carbon version of the alloy. It is utilized for ease of fabrication. 309H (UNS S30909) is a high carbon modification developed for enhanced creep resistance. It most instances the grain size and carbon content of the plate can meet both the 309S and 309H requirements. Alloy 309 can be easily welded and processed by standard shop fabrication practices. Alloy 309 is not designed for service in wet corrosive environments. The high carbon content, which is present to enhance creep properties, has a detrimental effect on aqueous corrosion resistance. The alloy is prone to intergranular corrosion after long term exposure at high temperatures. However, due to its high chromium content (23%), Alloy 309 is more corrosion resistant than most heat resistant alloys. 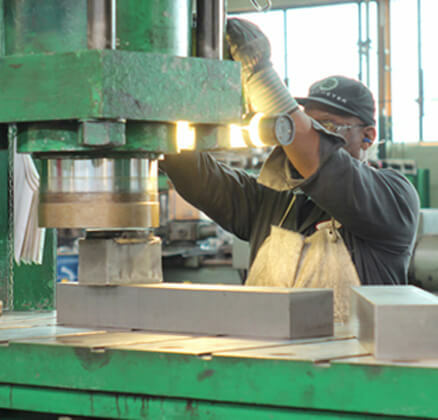 The alloy does not perform as well as Alloy 600 (UNS N06600) or Alloy 800 (UNS N08800) in reducing, nitriding or carburizing atmospheres, but it does outperform most heat resistant stainless steels in these conditions. Chromium 22.0 min.-24.0 max. 22.0 min.-24.0 max. 22.0 min.-24.0 max. Nickel 12.0 min.-15.0 max. 12.0 min.-15.0 max. 12.0 min.-15.0 max. Carbon 0.20 0.08 0.04 min.-0.10 max. Alloy 309 can be readily welded by most standard processes including TIG, PLASMA, MIG, SMAW, SAW and FCAW.